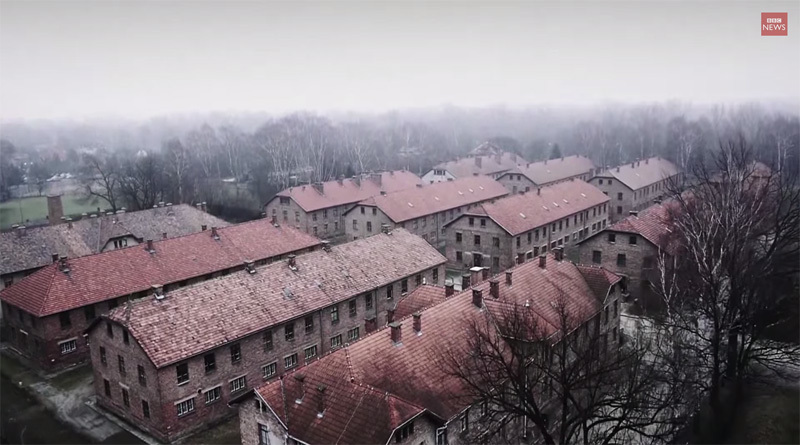 Drone video shows the Auschwitz-Birkenau concentration camp as it is today – 70 years after it was liberated by Soviet troops. The camp in Poland is now maintained as a World Heritage Site and is visited by thousands of tourists and survivors every year. Auschwitz was the largest camp established by the Germans during World War II. More than a million people – the vast majority of them Jews – died there between 1940, when it was built, and 1945, when it was liberated by the Soviet army. To see the extended six minute version, click here.